I’m still recovering from HIMSS 2019. Being sick going into it and coming out of it hasn’t helped. 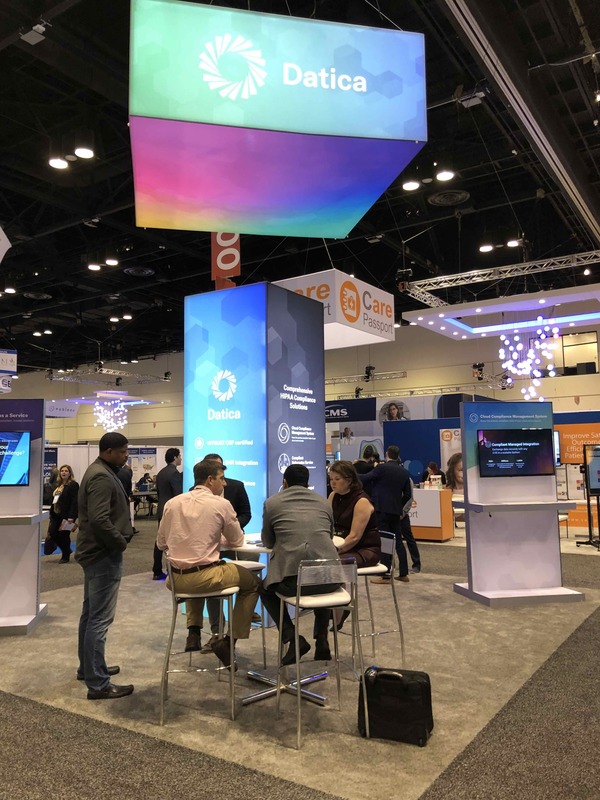 I’ve been meaning to write up the macro themes that were HIMSS 2019. In past years, this processing has been challenging but not in 2019. 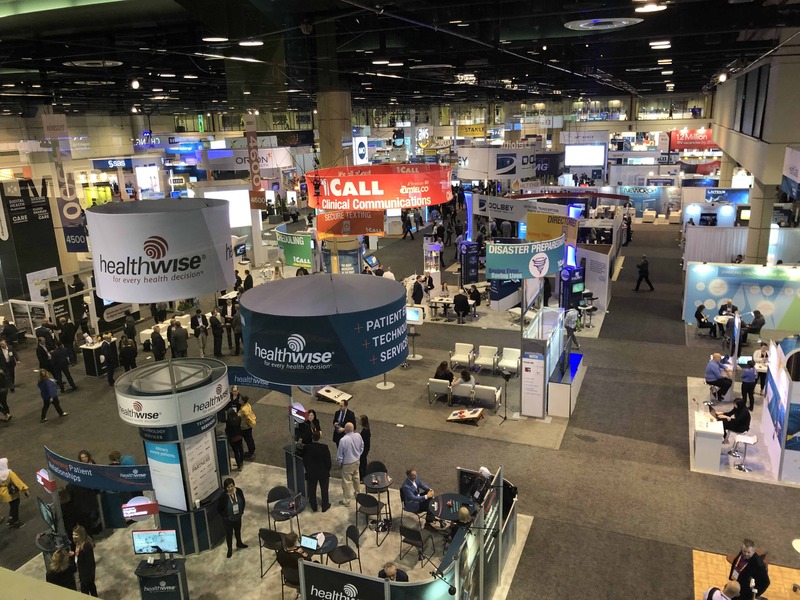 I came away from HIMSS 2019 with a very clear picture of where the health technology industry is headed, and it doesn’t look much like the past or present. Despite some of the failures of new health IT initiatives and startups over the last five-ten years, the directionality of both investment and types of technologies, namely towards a future not centered on the EHR, are correct. At HIMSS, and more generally as an industry, we have been orbiting the EHR for as long as we can remember. That gravitational pull towards the EHR has been very strong over the last roughly ten years as meaningful use (MU) set in motion what I’d call The Era of Rapid EHR Adoption. During that era, technology buyers and implementers at care delivery organization have been preoccupied with EHR installs and optimizations. At the same time, the direction of the industry has largely been driven by the EHRs themselves. In 2019, at what has historically been the EHR conference, that world shifted. Walking the exhibit hall floor used to be a bit like walking the Strip in Vegas, with EHR booths (and an occasional McKesson or IBM booth) anchoring the experience with the brightest lights and best designs. They also typically had the biggest announcements to coincide with HIMSS. Some of the EHRs still have a huge presence; Epic is still kitschy Epic. But a lot of the biggest booths and/or best locations are reserved for the technology giants like Microsoft, Google, and Amazon, or large healthcare services companies that have now shifted their marketing focus from EHR optimization to machine learning (ML)/artificial intelligence (AI) and innovation/transformation. What’s telling about the shift in focus for services companies is ML/AI and innovation/transformation are not in any way associated with EHRs. True story — I remember five-six years ago asking a health system CIO about his organization’s innovation strategy and he said, “We use MyChart”. That’s an extreme example. I think that quote encapsulates the shift in the market. The industry has finally accepted that there are now technical use cases and strategic imperatives that cannot be met by EHR vendors. That is the sea change that I felt at HIMSS 2019. In fairness, the writing has been on the wall that this change was coming. If you look at the last several quarterly investor presentations for Cerner, as a representative example, you can see the focus is all about things outside the traditional EHR because those areas around the EHR are the only areas left for EHRs for growth. The market for EHRs is saturated and adoption is basically one-hundred percent. So what’s next? That’s a good question and one I can only speculate about. My gut tells me the big winners will be the biggest players — Amazon, Microsoft, and Google — and, to a lesser extent, well-positioned vendors from large telemedicine companies or analytics companies, like Tableau. Insurance companies, especially Optum/United, and life sciences companies are the dark horses in the race but ones I would not count out. I think the next three-five years will be a gold rush — a mad dash to secure enterprise customers to use healthcare cloud, ML, and data platforms. In the process, there will be a lot of consolidation and acquisitions as larger and larger players vie to build out true platform offerings. Nobody has the complete package yet but that is where it seems organizations like Amazon, Microsoft, and Google will aggressively focus. The word is out — healthcare is a massive market, it’s extremely inefficient, it’s woefully behind in terms of modern technology adoption, and healthcare data is invaluable, not just in healthcare but generally for ML and AI. We’ve known what to expect at HIMSS for the last ten years. I’m curious to see what the HIMSS exhibit floor looks like in the next three-five years. SXSW was a blast. Catalyze had the chance to participate in a panel discussion for digital health startups. Our CEO Travis Good answered tough questions around HIPAA and regulation.